Reebok relaunches their basketball department this season with retro-inspired new performance footwear, including models like the Q96. 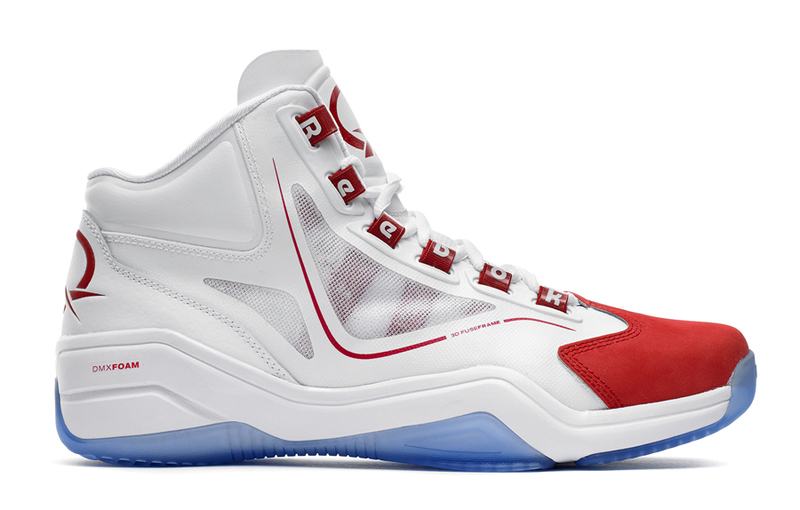 Taking obvious inspiration for the classic Question, Allen Iverson's first signature shoe, the Q96 will arrive in two familiar colorways of white/red and white/blue. The shoe features a lock-down lacing system, DMX foam cushioning and a lighweight and breathable synthetic upper. Look for the Q96 on the feet of must-watch rookie Nerlens Noel as the NBA season begins, and pick them up in both colorways on November 1st at select Reebok retailers including Private Inc.